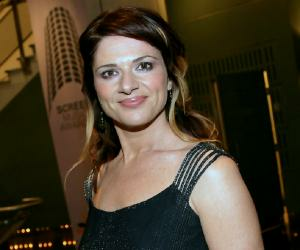 Julia Zemiro is a French-born Australian television presenter, host and actor. This biography provides detailed information about her childhood, life, achievements, works & timeline. If you ever had an opportunity to watch the super hit Australian musical quiz show, RocKwiz, you would definitely know who Julia Zemiro is. For others, she is a super successful French-born Australian television presenter and host. Zemiro has been synonymous to RocKwiz. Ever since the show premiered way back in 2005, she has been serving as its host and in all probability would continue in the profile in the years to come. However, her career graph isn’t limited to just a musical quiz show. Other than being a television presenter, she is a radio host, actor, singer, writer and comedian. Her first stint as an entertainer was as a theatre artist in Sydney. Interested, she decided to pursue it as a career option and soon enrolled at the Victorian College of the Arts Drama School, giving up on formal studies in her final year. Over the years, she has carved a niche for herself in both theatre and television and has an ardent fan following. Julia Zemiro was born on April 14, 1967 in Aix-en Provence, France to Claude and Jane Zemiro. Her father is a retired French restaurateur and her mother is a retired teacher. At the age of two, her family moved to Australia. She attained her early education from the Sydney Girls High School before enrolling at the University of Sydney for a degree in Bachelor of Arts. Her acting career bears its root in Sydney where she played at the Belvoir St Theatre Sydney for many years, thus becoming a Theatresports veteran. Her stint at theatre solidified her ambition to make a career in the field of entertainment. In 1992, she gained admission in the Victorian College of the Arts Drama School. Subsequently, she left University of Sydney in her final year and shifted base to Melbourne. At Melbourne, she continued with her theatre career, by joining Impro Melbourne. She starred in the annual season of Celebrity Theatresports and was a regular at the Melbourne International Comedy Festival show, ‘Late Night Impro’. She was one of the core members of the improvised stage show, ‘Spontaneous Broadway’. Graduating from the Victorian College of Arts in 1993, she joined the Bell Shakespearean Company, commencing a national tour with the Actors at Work group. Simultaneously, she was a regular panellist and debater at the ABC’s Good News Week. Additionally, she served as a writer and performer for two seasons in ‘Totally Full Frontal’, playing more than 30 characters. During her early years, she featured in a number of short films including ‘The Extra’ and ‘Muffled Love’. 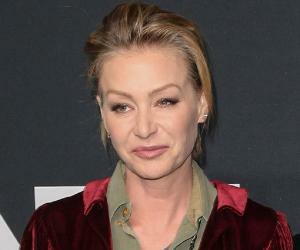 For both the films, she won the Tropfest Best Actress award in 1999 and 2001 respectively. Meanwhile, in Melbourne International Comedy Festival in 2000, she took up multiple roles of co-writer, performer and director for ‘Backpackers’. Her stint as a television presenter commenced with the show, ‘World Telly 2’. Produced by broadcaster and journalist, Scott-Walkins Sully, the programme was broadcasted in the ABC’s Australia Television. In 2003, she first appeared as ‘Bronya’ in ‘Eurovision, the Musical’. She reprised her role in the 2004 ‘Euromax 7 The Musical’ and in 2006, ‘Eurobeat: Almost Eurovision’. In 2005, Julia Zemiro became the host for the music quiz show, RocKwiz on SBS, and has been hosting it till date. Recorded at The Epsy, the show will enter its 13th season on May 30, 2015. RocKwiz has achieved great success over the years and has given Zemiro the recognition that she enjoys today. In addition to hosting RocKwiz, she has done a variety of television performances. In 2006, she starred on the comedy show, ‘The Wedge’ and served as the judge on ‘LifeStyle Food's Great BBQ Challenge’ consecutively in 2006 and 2007. Furthermore, she appeared in an episode of CNNNN as the host of ‘Animal Farm’. She also hosted the talent show, ‘Song for the Socceroos’, which aimed at finding a theme song for the Australian Socceroos soccer team during their bid for the 2006 FIFA World Cup. The group, ‘Freedom of Thought’ won the show. Apart from hosting shows, Zemiro also entertained audiences as a contestant. She paired with Dave Gleeson for Channel Seven’s ‘It Takes Two’ show. Furthermore, she contested and won Australia’s Brainiest TV Star show. Zemiro has made guest appearances in a number of television shows including, ‘Top Gear Australia’, ‘ADbc’, ‘Thank God You're Here’, ‘Talkin' 'Bout Your Generation’ and ‘The Bazura Project’s ‘Guide To Sinema’. She also figured in a number of television commercials including Fifi La Croix as a satiric French fashion expert for Target's breast cancer campaign. Together with 3RRR radio personality Sam Pang, she recurrently has served as a commentator for the SBS broadcast, ‘Eurovision Song Contests’ in Moscow in 2009, Oslo in 2010, Dusseldorf in 2011, Baku in 2012, Malmo in 2013 and Copenhagen in 2014. She is expected to continue in this capacity in Vienna in 2015. In 2012, she played the character of Oriana De La Force in a 12 part Australian drama series on FMC, ‘Conspiracy 365’. Furthermore, she reprised her role in ‘Ql’, a BBC drama of which she first was a part in the stage version of QL show, ‘Ql Live’ in December 2011. Year 2013 saw her play the character of Isabelle in the Rachel Ward directed TV film, ‘An Accidental Soldier’. Same year, she served as the host for the five-episode show, ‘Julia Zemiro’s Home Delivery’, in which she interviewed five comedians. The show was aired on ABC1 network. In 2014, she took to theatre yet again, this time for Sydney Theatre Company, playing Roxane's duenna in Edmond Rostand's 1897 play ‘Cyrano de Bergerac’. She was paired opposite Richard Roxburgh's Cyrano. On 2014’s New Year’s Eve, she, along with Toby Truslove, hosted the live coverage of the internationally renowned Sydney fireworks displays live from the Sydney Opera House forecourt. Zemiro's career graph has witnessed an upscale drive ever since she has served as the host of the super successful musical quiz show, ‘RocKwiz’. The show which premiered on January 31, 2005 on SBS One has been running in its twelfth season. Since the shows’ commencement, she has served as its host and shall, in all probability, continue in the role for the show’s thirteenth season that kicks off on May 30, 2015. The programme is hugely popular and has been nominated in the AACTA Award for Best Light Entertainment Television Series thrice, winning once in 2007. It has also been nominated for Helpmann Awards. Zemiro’s romantic interest has been a mystery since long. The television presenter is quoted to have said that she has found someone who probably is the answer to her loneliness. Nothing at all is known about the man except for the fact that he is not in the media industry.